Something curious happened the moment I stepped off the plane. Arriving in Verona on a hot Friday afternoon. In that very moment, it was as if the heat had suddenly melted all my cares away. I was ready to spend 5 days in Italy. With only a GCSE Italian to rely on I was determined to fully immerse myself in the culture. Anyone that knows me or those that have traveled with me know, that I am a planner, and I will plan the whole trip in detail. From how I will get there to downloading local street maps on my iPhone, getting around; the best, cheapest, quickest ways to see the cities I visit including what not to miss out on. I suppose this is what traditional tourism tells us; seeing the standard city sites like landmarks and artworks as if the only things worth seeing. So this trip to Italy, I decided to do things differently. That of minimal planning. I wanted a more sensory and deeper travel experience, so there was no downloading of any maps or extensive research about the best places to eat, drink or museums around town. I was not going to slavishly follow a travel itinerary to the letter. Arriving at Verona airport I got the bus into Verona train station. The train is only about 20-30 minutes to Desenzano. In the best Italian, I could manage ” Due biglietti, per favore ” as I asked for 2 tickets. From there I caught the train to Desenzano. Checking into the hotel I could already feel the soft and easy breeze from the lake peering at the back of the hotel. Desenzano seems to have this calming effect. I am sure the clear blue lake waters of Lago di Garda(Lake Garda) has everything to do with this. 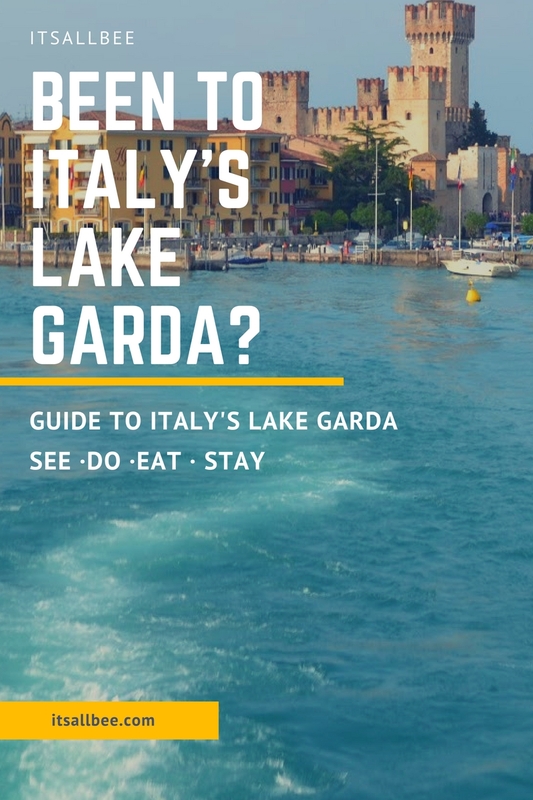 Sitting in the northern part of Italy, Lake Garda is a hidden gem that you almost don’t want to tell people about just in case they all flock there and ruin it before you can say EasyJet! I decided to split my days there between different towns around the lake. Getting around the lake is done via ferries between towns. Lake Garda is the largest lake in Italy, but I totally underestimated the size, thinking that I could easily get from one end of the lake in no time. It takes about 2 hours to get from the southern part where I was staying in Desenzano to get to the northern end of the lake in Riva. Saturday was spent in Sirmione, then moved on to Garda and Malcesine on Sunday and Monday for moving on to Milan as my flight was leaving from Milan back to London. With a keen intent of cultivating curiosity about strangers, I struck a conversation with one of the locals on Malcesine. Learning about what the town is normally like when covered in snow as the town caters a whole different tourist in the winter. Salas has been living in Italy for nearly 20 years. Born to Tunisian parents who died shortly after migration. He splits his time between Italy and Tunis in winter. Like birds, he and his family move to warmer climates back to Tunisia when winter covers Malcesine in a blanket of snow. Malcesine is miles away from Desenzano but you immediately notice the change in weather as you move from south to north. Sitting on the top deck of the boat, no pictures, I just want to enjoy this moment and not live it through the lens of a camera. Watching the blue water quickly turning into white carefree waves as the boat gently bounced on the lake. The low humid had created a soft haze in the air reducing the visibility of the land in the distance making the lake look endless. You would be fooled into believing you were on the ocean at the shire vastness of Lake Garda.The mountain tops basked in foggy cloudy haze almost as if to totally take ownership of the place. Leaving the rain in London to the Diamond Jubilee celebrators my skin was bathed in this warm(dare I say hot) sun that immediately sends your mood in an appreciative happy dance. Desenzano was 29 Degrees of glowing rays and sits midway between Venice and Milan. With most of the hotels and restaurants perched by the lakeside, making it seem like you are on an island. Everything is within a few minutes walking distance. As you approach Sirmione the Scaliger Castle immediately catches your eye. Sirmione is a beautiful little town only 10 minutes on the boat from Desenzano and sits on a 2 mile-long peninsula. The Roman Poet Catullus had a villa here and was named after the Grotto of Catullus; the remains of a Roman Villa which supposedly belonged to Caius Catullus. As we wondered through the streets just following the faint scents of spices. My sister and I found ourselves in front of a pizzeria serving the most aromatic freshly stone baked pizzas. Hidden and away from the main tourist trails but still just a few meters from the lake it was perfectly situated. Still filled with curiosity and wondering the little streets we found ourselves the perfect little spot to sit and bask in the sun while we let the lunch settle. Two seats on the edge of the lake, as if they knew we were coming. Hidden in Via Porto Bianchi on the corner of Albergo Restorante. Shoes off and feet soaking in the clear lake water. So clear you can see the fish swimming near by and ducks and swans gracefully floating by. If you want to take relaxation further, Sirmione also harbors a spa house right on the lake; Terme Catullo. You are greeted by the Scaligero Castle as the boat pulls into Malcesine. The 31-meter high pentagonal is clearly visible from a distance with a back drop of Monte Baldo Mountains. The castle entrance is hidden through stoned alleyways on the town. Malcesine is also where you can get a cable car and go to Monte Baldo for the panoramic views of Lake Garda. Unfortunately on the day we went there was limited visibility so there was no point to go all the way to Monte Baldo because it was covered by clouds. So we stopped half way at San Michele. Even with the slight haze the view from San Michele down the lake was truly amazing. Very picturesque…It would be even better on a clear sunny day. Unless you have an unlimited budget and plenty of time then Verona is a fantastic base to stay and do day trips to Venice, Lake Garda Towns or even Milan. I may have cheated a little as I have stayed in Verona before. Last year I did a 4-city 7-day tour(Verona, Venice, Bergamo and Paris). Trains from Verona are fairly easy and frequent. Verona is also also unspoiled, rich with historical places to visit. Or if you just want to sit in authentic Italian cafes sipping coffee while people watching, then there are plenty of charm in Verona to keep you busy. Verona also has the world’s largest open amphitheater and Juliet’s House(think Shakespear!) or Casa di Julietta is also in Verona. Compared to London, transport is cheap as chips! The prices I pay to go to Peterborough each week I could have paid for the tickets below and still have change for a slice of pizza. Further details for Ferries and getting around. 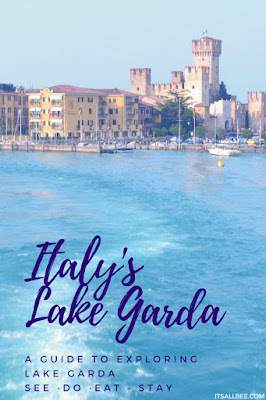 Lake Garda is huge so looking for a place to stay means first having to look at where you are going to base yourself and your plans for what other surrounding towns you will be visiting. For example, we stayed in Desenzano but visited Sirmione, Malcesine and another town that was a quick stop. 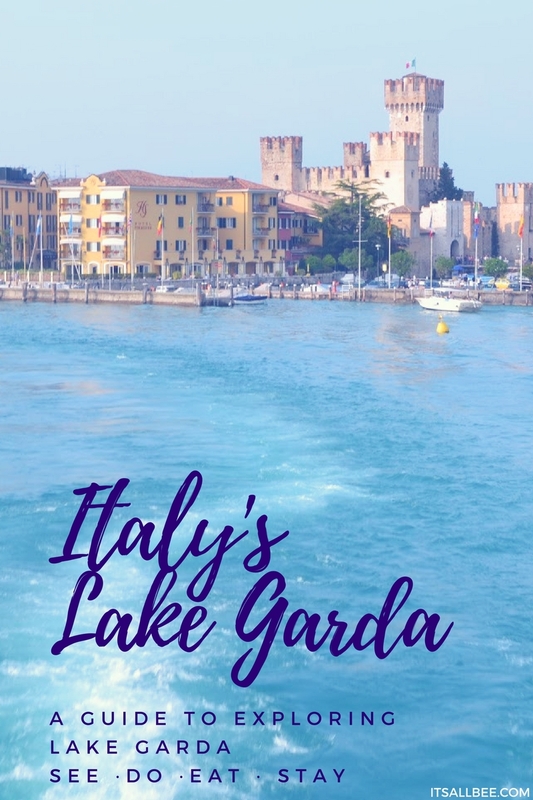 For a full list of hotel options in Lake Garda here is a list covering all budgets from frugal to luxury budget accommodation in Lake Garda. So have you been to Lake Garda before? What did you think of the towns around it either from your visit or from my post have those of you who haven’t been? Like This Post? Share or Pin For Later. Great guide. 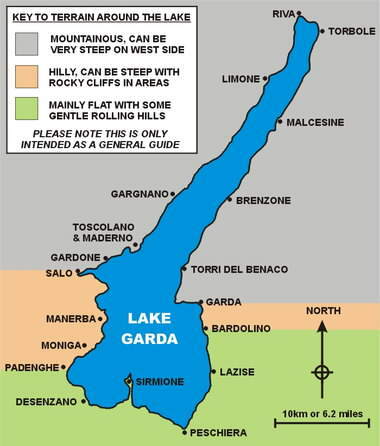 I have always had Lake Como on my list but never really knew about Lake Garda until now. Definitely putting a Lake Garda visit on the cards soon. 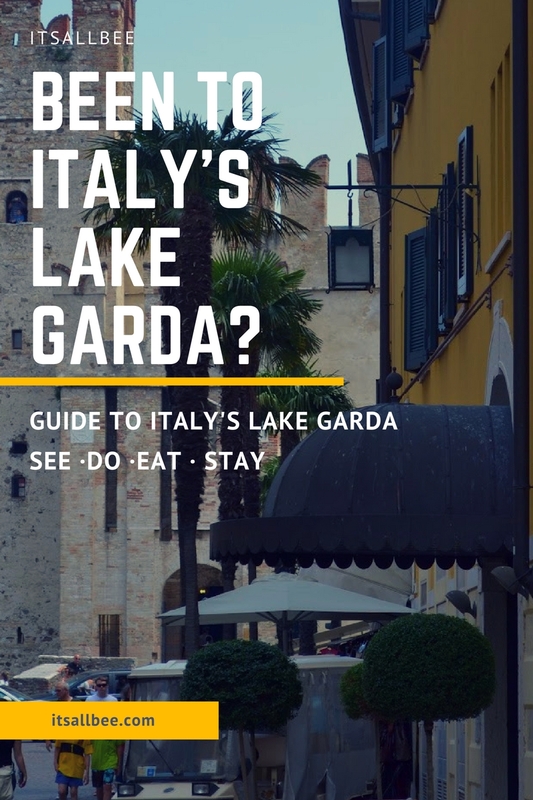 Good to know you can also do Lake Garda day trips to towns around the lake. Do you know the distance from Lake Garda to Venice? Just trying to figure out if we can combine Venice and a day trip to Lake Garda from Verona if we base ourselves there. What are your thoughts? Hi Ronald. I am glad you are now adding a Garda visit to your travel plans. With regards to the distance from Lake Garda to Venice. I have done day trips from Verona to Venice and I have also traveled from Verona to Lake Garda all by train. The train from Verona to Venice I think was around 2 hours if not just under that and similar to that from Verona to Lake Garda to do a day trip from Venice to Lake Garda would really shorten your visit especially if you really wanted to visit some of the towns I have mentioned. The journey to Venice from there will take approximately 3 hours I think. If you base yourself in Verona, getting to Lake Garda from Verona can be done by train. We went from Verona to Desanzo so it really depends on which town on Lake Garda you decide to do your day trip to. I hope that helps. The trains are super easy and so cheap too compared to the UK so you will be fine budget-wise too.